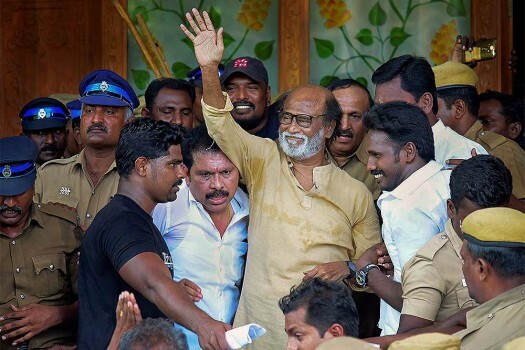 Actor-turned-politician Rajinikanth waves at supporters as he comes out of a government hospital after visiting those who got injured Tuticorin police firing, in Tuticorin. 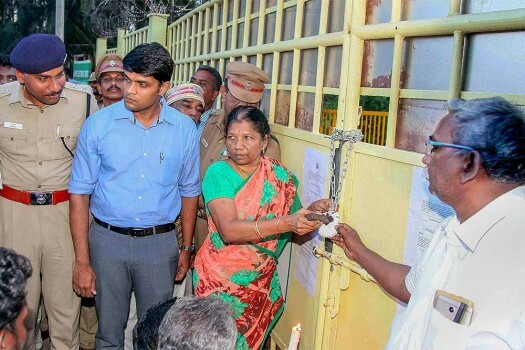 District Collector Sandeep Nanduri along with other officials seal the main gate of Sterlite Copper Unit, in Tuticorin. 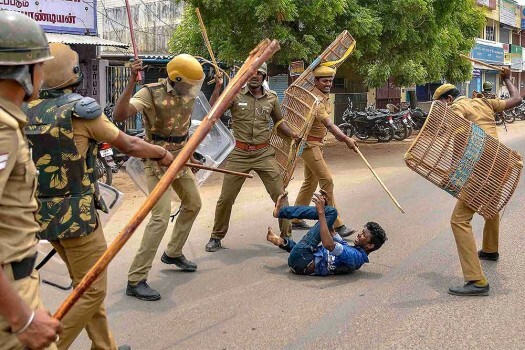 Police personnel baton charge at a protestor demanding the closure of Vedanta's Sterlite Copper unit, in Tuticorin. 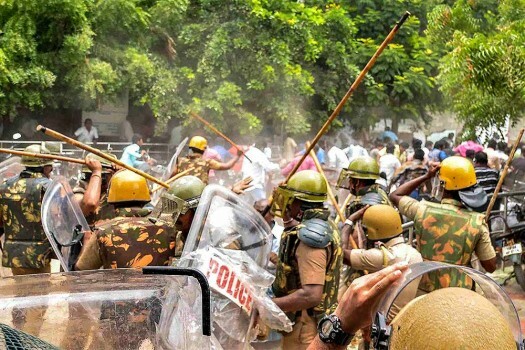 Police personnel baton charge at protestors who were demanding the closure of Vedanta's Sterlite Copper unit, in Tuticorin. 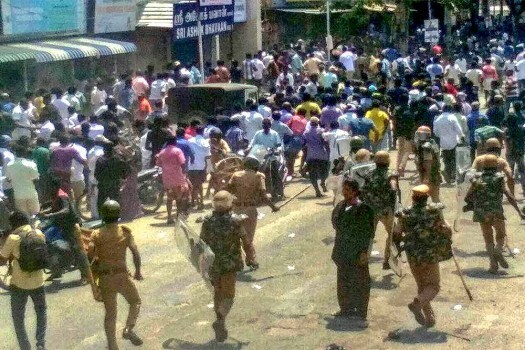 Police personnel tackles agitators who were demanding the closure of Vedanta's Sterlite Copper unit as protest enters the 100th day, in Tuticorin. 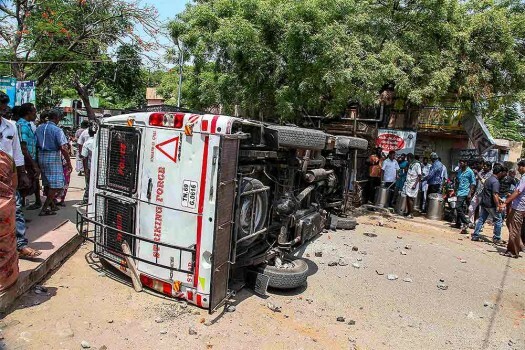 An overturned bus following an agitation demanding the closure of Vedanta's Sterlite Copper unit as protest enters the 100th day, in Tuticorin. 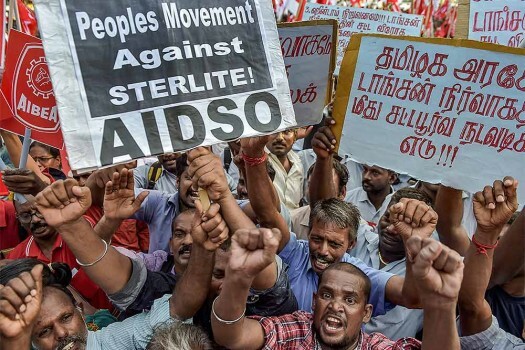 Agitators march through a street demanding the closure of Vedanta's Sterlite Copper unit as protest entered the 100th day, in Tuticorin. 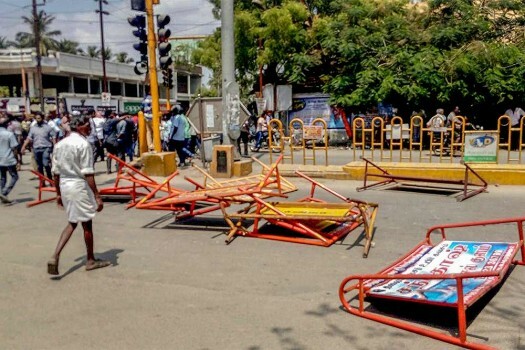 Barricades lie strewn after a violent protest demanding closure of Vedanta's Sterlite Copper unit entered its 100th day, in Tuticorin. 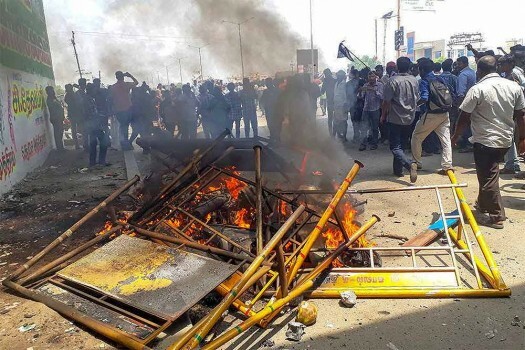 Police personnel tackles the agitators demanding the closure of Vedanta's Sterlite Copper unit as the protest enters the 100th day, in Tuticorin. Smoke billows out of burning vehicles after a violent protest demanding closure of Vedanta's Sterlite Copper unit entered the 100th day, in Tuticorin. 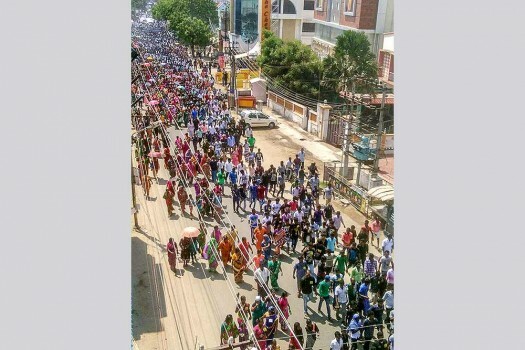 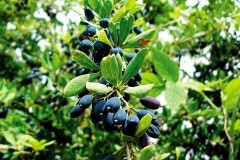 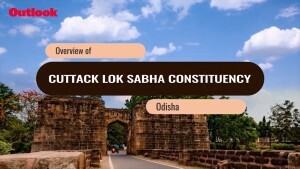 The government said that its policy decision to seal the Vedanta Ltd unit was in line with people's sentiments. 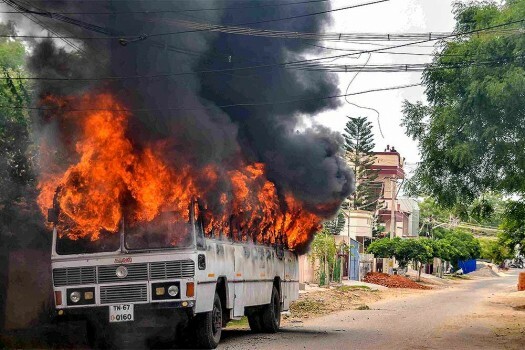 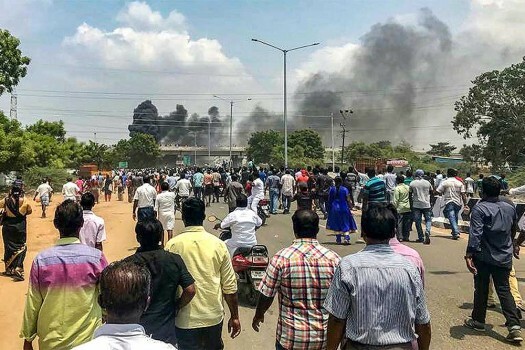 Thirteen people were killed in a police firing after violence broke out on May 22 during an anti-Sterlite protest at Tuticorin. 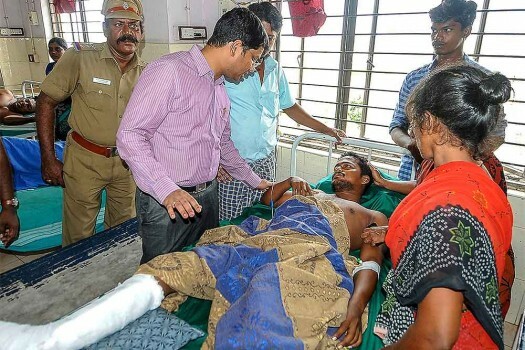 On May 22, police opened fire on protesters agitating against the expansion of the Sterlite Copper plant in Thoothukudi, killing 13 people and injuring 102. 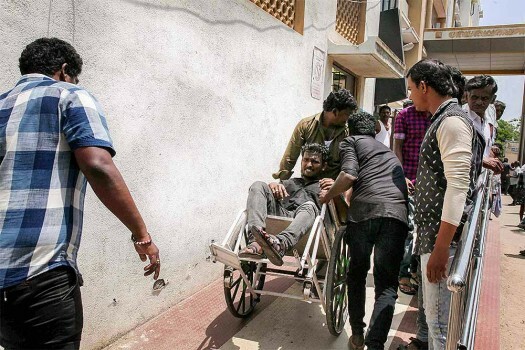 At least 13 people have died in police firing in the protest until now, and over 60 have been injured. 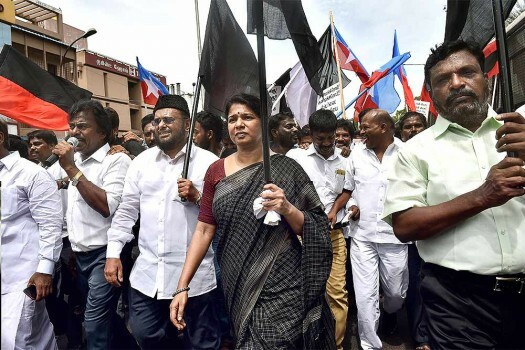 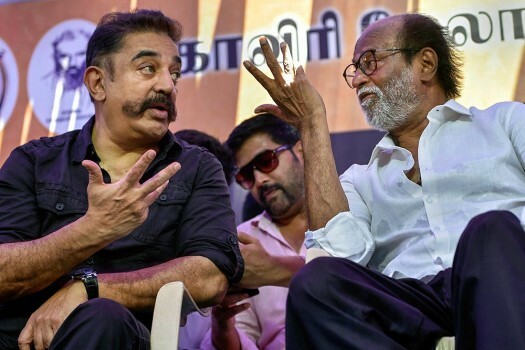 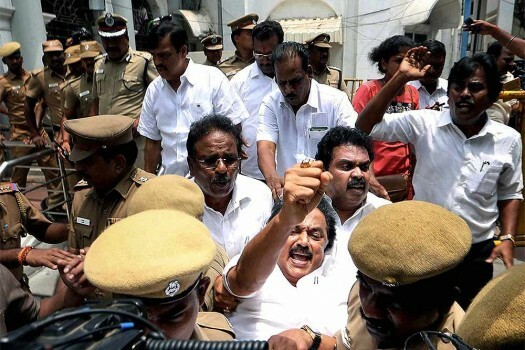 Stalin and opposition leaders staged a protest over violence in the anti-sterlite protests, demanding the resignation of Chief Minister Palaniswamy. 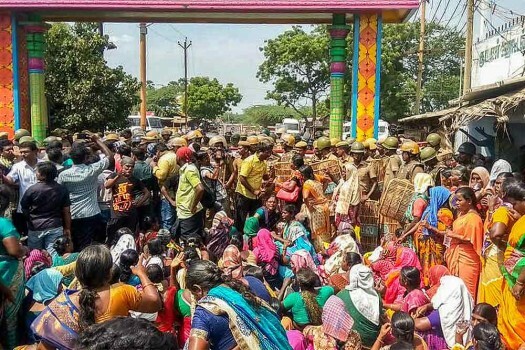 11 people were killed and more than 65 injured in police firing in the protest against the construction of a new copper smelter by the Sterlite industries in Thoothukudi.